Activision Blizzard announces one heckuva lineup for gamers. Here’s what’s coming out this fall and winter. aNewDomain — Activision Blizzard and its wholly owned subsidiary Activision Publishing are releasing four blockbuster titles in the third and fourth quarter of 2014 targeting gamers of all possible demographics. Those blockbuster games are Call of Duty: Advanced Warfare, Destiny, Skylanders Trap Team and World of Warcraft: Warlords of Draenor. Other game publishers will have a difficult time matching Activision’s fall lineup. Check it out, below. Call of Duty: Advanced Warfare is the next title in the extremely successful Call of Duty franchise. The last title in the franchise, Call of Duty: Ghosts, sold over $1B in games on the day of release. Expect a similar result for Advanced Warfare. Destiny is a competitive multiplayer first-person shooter game developed by Bungie, the people who created Halo. Destiny will be available for PS4, PS3, Xbox One, and Xbox 360. According to the latest press release from Activision, pre-orders for Destiny are the best in history for a new franchise. Skylanders Trap Team is the highly anticipated expansion for Activision’s successful franchise for younger children. Skylanders mixes digital games with physical toys in the form of pocket-sized traps. For Skylanders Trap Team, kids can capture villainous characters and convert them to the side of good. New to the franchise for this release is the ability to play on tablets, allowing kids to play on the go. Activision needs to have a stronger presence in the mobile space and Skylanders Trap Team should help in that regard. 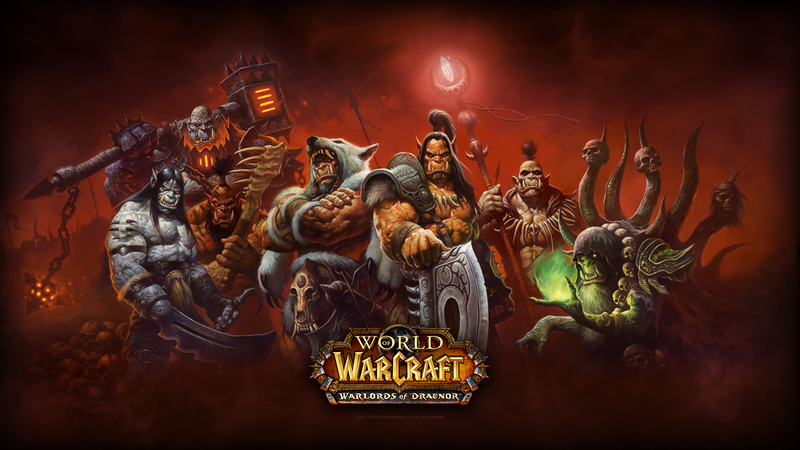 Word of Warcraft: Warlords of Draenor is the next expansion for the most successful MMORPG of all time with a subscription base of over 6.8 million, even after 10 years of existence. While 6.8 million is extraordinary, it is nearly half as many subscribers Activision saw at the games peak in 2010. However, the last expansion, Mists of Pandaria, bumped the subscriber base by almost 2 million, at least for a quarter. With a strong lineup of game releases this fall, Activision Blizzard is looking to dominate the video gaming market this holiday shopping season. If you know a gamer, chances are they’ll be playing at least one of these games in the near future.